COME AND CELEBRATE LOVE WITH US THIS MONTH AND EVERY MONTH. WE'RE LOOKING FOR YOU! LET US HELP YOU CELEBRATE YOUR NEW AWAKENING TO RESTORATION. PACKAGES THAT MAKE GREAT GIFTS! We are not new here at Moedim Day Spa, but we have created a new model in our approach to wellness. Our system is unique and perhaps the only one of its’ kind in that we are able to match you to the corresponding treatment that would best suit your needs. Forget the stress and feel the wealth of a healthy body. We restore balance and beauty through time-tested techniques. Our advanced treatments create symmetry and maintain optimal vitality by promoting a healthy and sustainable lifestyle. Combining relaxation and healing is what we do. Who we are is your source for the best professional massage and spa services. Express your friendship, love, and affection through gift giving! Ionic Foot Detox $35.00BUY NOW! Experience the life-giving properties of energized water and bio-electric fields to help clear stuck energies and release toxins from your skin. Our "Harmony Couple's Massage" is one of our hottest!! services at our spa right now. The perfect combination of intimate social connecting. A great way to introduce and share a unique experience with that special someone. So make it a harmonious event for two. ADD ONE OF OUR SIMPLY AMAZING!! FOOT INDULGENCES for $30.00 or $100.00 includes the House Massage! The Refresher – Satisfy your tired and relentless body cravings with the perfect foot soak to revivify you! Lemon balm helps with frayed nerves, Lemon Grass has a cooling effect, Ginger is great for aching muscles, Tumeric has amazing healing properties, Mint is wildly aromatic, Lime is energizing. The Balancer – Feel simply amazing with this wonderfully aromatic mood delighter! Fennel is grounding, Ylang Ylang balances mind and body, Orange Citrus promotes positive thoughts, Lavender is relaxing and soothing. 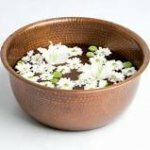 Ancient Soak – Healing as well as aesthetically pleasing. Neem generates heat in the body, Hibiscus moisturizes, Aloe relieves sore muscles, Lemon Grass is great for immune system. Look and Feel your best with one of our most popular treatments!! Lose 4-15 inches today with our detox body wrap. The active herbal enzyme solution is a toxin cleanse that creates immediate size loss from fatty areas. The aloe vera in the solution will moisturize, tone and tighten the skin allowing you to feel baby soft. Browse our Services Menu of therapeutic massage, spa body treatments, and spa packages, or view this month's 'featured treatments' below.